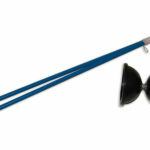 The Diabolo is the yo-yo unleashed! 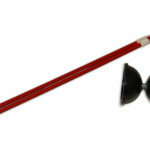 It’s another fun, hand-eye coordination enhancing game with an infinite number of tricks able to be performed. 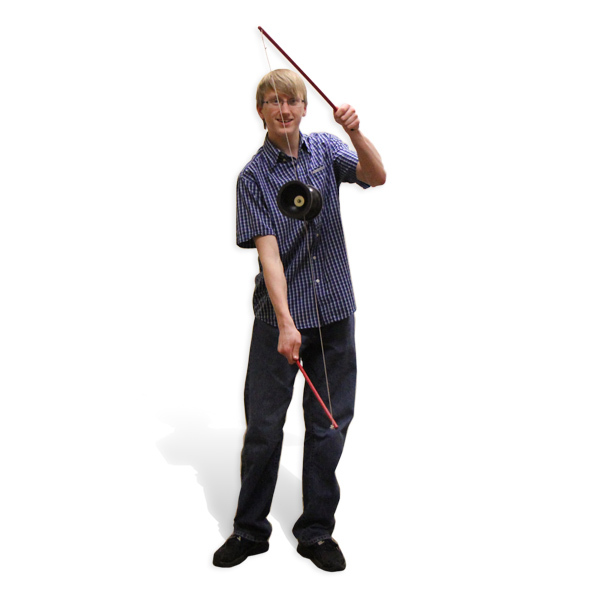 The object of the diabolo, which is also known as the diablo or the Chinese Yo-yo, is to get the “toss” spinning on the string then, throw it up into the air, over your leg, around the world, on your handle stick or anywhere else. 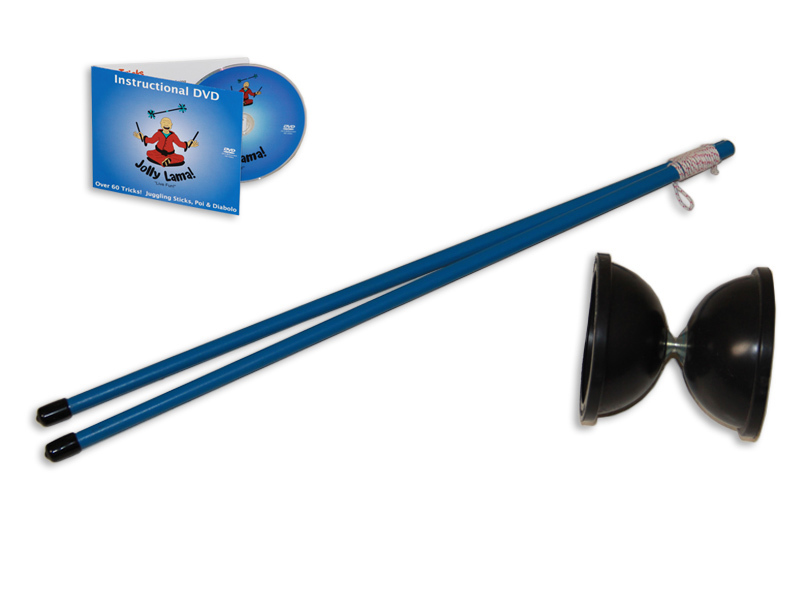 Each set comes with an illustrated instruction booklet to teach you beginner, intermediate and advanced tricks. Plus, don’t forget about our free Video link above where you can see different Diablo tricks being performed. 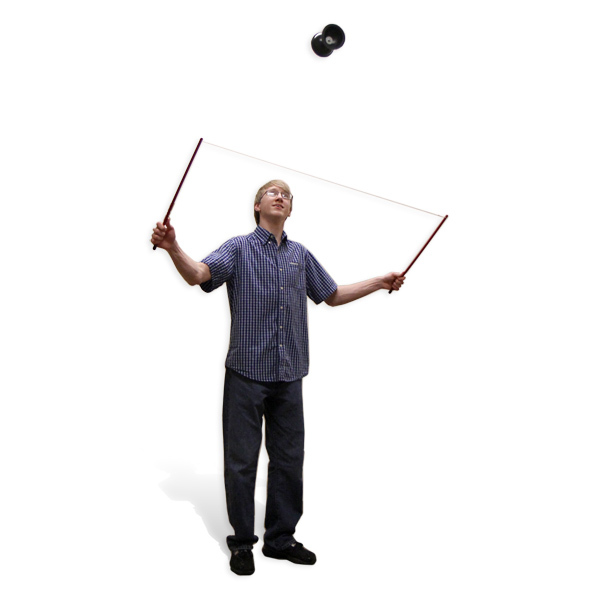 This Diabolo is a great for beginners and experts alike. 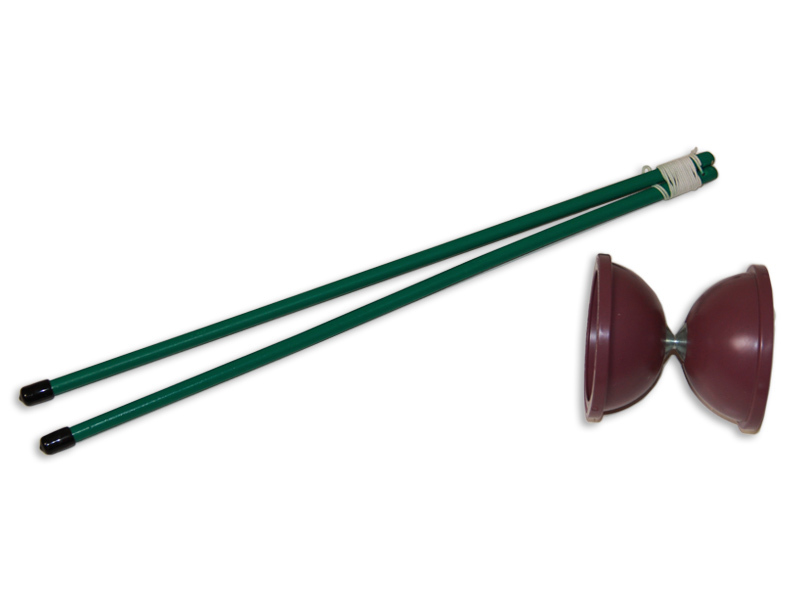 The handles are hardwood dowels with 140# test kite string. 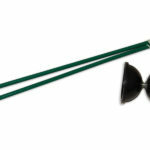 The string is adjustable for all user heights and preferences. 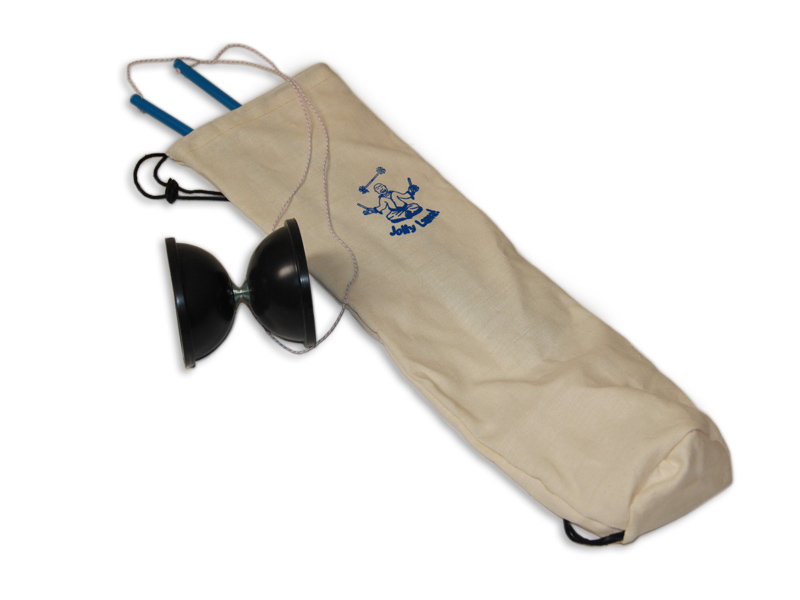 The toss is made of durable plastic with the right about of elasticity to absorb hard impacts time and time again. 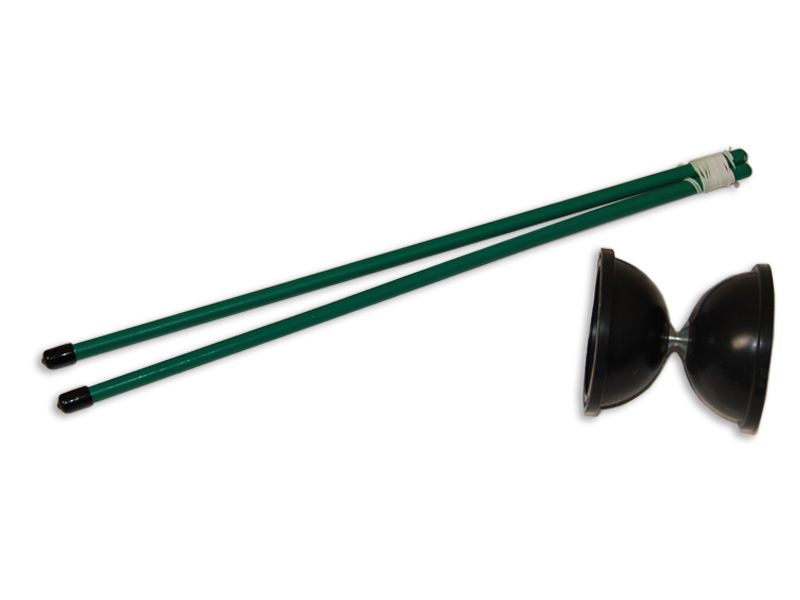 It is very rigid and durable plus the outer ring of the cups has extra weight for optimal stability and control in very high speeds. 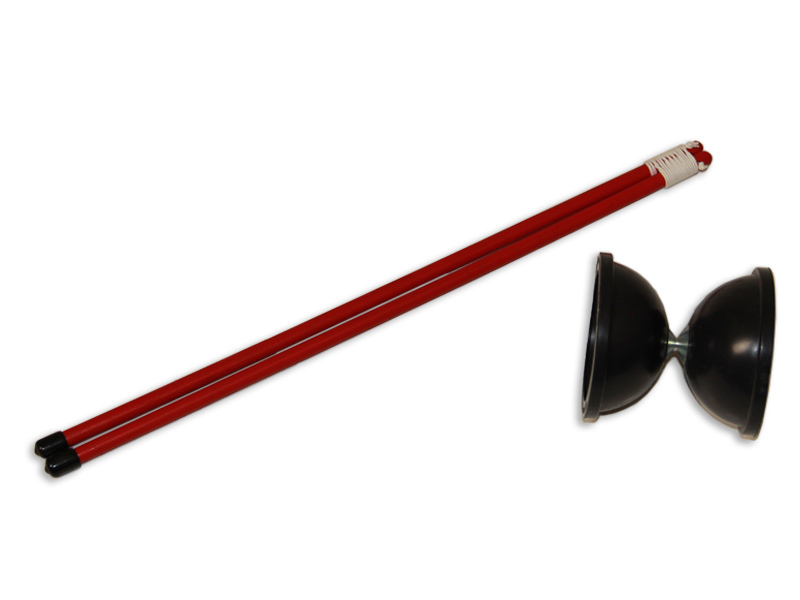 The fabricated steel axle is made of just one piece which means it is not going to unscrew on you like 2 and 3 piece axles have been known to do. 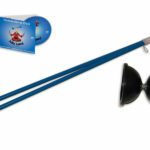 Like many products made and sold at Jolly Lama, the diabolo is a fun, challenging prop. It’s also an ancient toy which has covered the globe in use as entertainment and in trade for centuries. If you catch Cirque Du Soleil you’ll see some incredible multi-person performances with the diablo that will blow your mind! Don’t forget about our Jolly Lama! 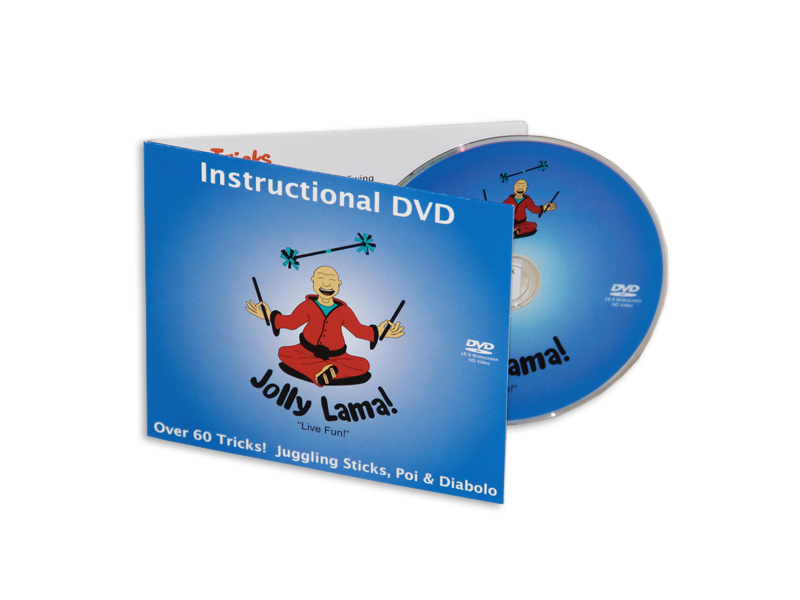 Instructional DVD including many Diabolo tricks!